Studying in Australia isn’t just about improving your English, knowledge and qualifications; it’s about using them in real-life situations, making friends, having fun and discovering all that this amazing country has to offer. ¨ Employer Sponsored Workers - When an Australian employer (government or private) sponsors a foreign national to work in Australia. ¨ General Skilled Migration - For people that are not sponsored by Australian employers but possess a skill valued in Australia. ¨ Skill Select - For workers possessing certain skills that Australia is in need of. Migrants are not citizens. However, once you satisfy the residency test you can apply to become a citizen. The Australian Department of Home Affairs (DHA) has a great tool to help you find which visa is right for you. https://www.homeaffairs.gov.au/Trav/Visa-1? The DHA website lists the eligibility requirements that you need to satisfy for each type of visa. For example, you may be required to have a relative that is an Australian citizen; skills that are on the published lists of skills which are in demand; a qualified sponsor; be under a certain age etc. After you’ve found the right visa and have checked you meet all the eligibility requirements, you can apply for it. Make sure the entire application is fully completed before submission. Applications are available for download or to apply online at the DHA website. Most applications require you to submit supporting documents and an application fee. * It is important to note that this can be a complex, time consuming and expensive process. We specialise in simplifying and streamlining it for you as well as maximising your chance of success!! The processing times for different types of visa application varies significantly. Average processing times are published on the DHA website. You may have to wait several weeks, months or years for a decision to be made on your application depending on the type of visa. 5STAR Student Services looks forward to helping you find the right visa and submitting your application to maximise your chance of migrating to Australia!! Australia is fast becoming a preferred destination in terms of education among Indian students. 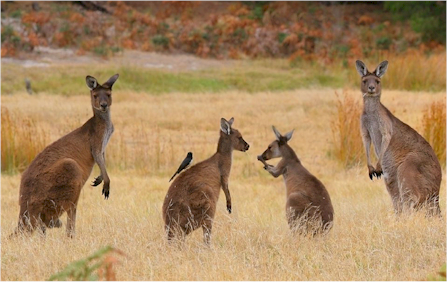 Currently, this “land of kangaroos” attracts the third largest number of international students in the English-speaking world after the US and the UK. In some countries Australia is the first choice of study destination. Australia is a dynamic, vibrant country with energetic, friendly people. Multicultural Australia is English-speaking and a safe and friendly society in which students can learn and travel freely. Australia also offers excellent value for money and a standard of living that is among the highest in the world. Living expenses and tuition costs in Australia are considerably less expensive than the UK and USA. The other advantages for this country in the Asia Pacific Rim include paid internships while studying. Let us explore why Australia now has around 550,000 international students from over 200 countries in disciplines at every level of education, including short-term English language courses, Bachelor and Masters Degrees right through to Doctoral Degrees. 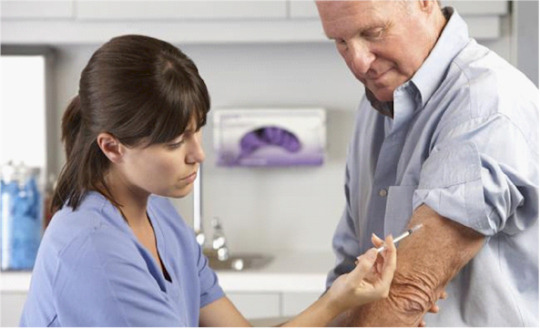 A 2014 report from the Australian Department of Health predicts that by the year 2025, Australia will have a significant shortage in nursing staff, with the demand for nurses exceeding the supply by around 85,000. By 2030, the government anticipates an extra 123,000 nurses will be required to continue delivering quality care to the Australian population. As a result, overseas nurses have become popular as the country attempts to fill the gaps in its healthcare system, creating a lot of opportunities for foreign medical professionals. Confusion over 2018 English Language Proficiency Testing standards in Australia. A Joint Peak Body Statement regarding the ELICOS National Standards set to commence in 2018 has clarified the situation regarding testing of English Language proficiency. Contrary to some media reports over the past day, a new test is NOT being imposed to assess English-language proficiency among international students in Australia. Australian education institutions already have some of the strongest standards in the world to ensure that international students can get the most benefit from studying and living here. The Australian Government recently released updated national standards for ELICOS (English Language Intensive Courses for Overseas Students), which will apply from 2018. Some media reports mistakenly suggested a new test is required as part of these new standards. To be clear, there is no requirement for further standardised testing under the ELICOS National Standards 2018. Testing is only one form of assessment that may be considered and education providers will still set their own English language requirements for entry to their courses. Crucially, also, the revised standards do not change the existing visa requirements to study in Australia – nor the pathways to further study. It is important that potential students understand this will not make it harder to study in Australia. The ELICOS National Standards 2018 make minor amendments to existing standards to ensure quality is upheld in the future. The main change amends the definition of an ELICOS course to bring all registered intensive English language courses within the scope of the ELICOS standards. Should the New Colombo plan be extended? Based on the success of the New Colombo Plan pilot, the Australian Government will extend it’s 2015 program to include 35 countries in the Indo-Pacific region. The New Colombo Plan is an initiative of the federal government that provides funding for Australian undergraduate students to undertake study in the Indo-Pacific region, with the intention of strengthening the relationship between Australia and its neighbouring countries. The federal government has committed $100 million in funding over five years, offering scholarships and mobility grants for study and work experience abroad. You might have heard that being successful in higher education courses is very difficult due to the hard work involved, and the expenses to live and study in Australia. When you want to do a degree Australia and have chosen one of the good higher education courses to study in Australia, the next thing you have to do is to plan well and stick to your plan to succeed in your grad school in Australia. With little planning and a little timelier hard work you can come out of your university education in Australia with flying colors. Getting into a good college to continue your higher studies in Australia is easy for all international students. Once you decide to become the student in one of the courses for international students, you have to be careful in cultivating good relationships with those around you. When you are doing one of the good Australia study courses you will find that you are surrounded by highly experienced professors and the best of those in your industry. So, right from the early days of your grade Schools in Australia try to start as many good relationships as possible with all those around you. This is necessary to get good help in all aspects of your study work in Australia and getting good places to live in Australia while doing a good Australian degree. By getting good relationships with those in your Australian grad school and the professors and other persons in the Australian Universities it will be easy for you to complete the graduate course easily and get placed at a good organization once you finish the degree course. Never forget that your attitude determines your altitude, and enter your college of Australia with a good attitude. You may have been a star student in your undergraduate program and might have completed the same with high marks without much hard work. But while doing your Australian higher degree it is necessary to be really hard working and smart in completing your assignments and other Australian courses to study related works in a timely and dedicated manner. This requires a totally new approach to your work at the Australian college. You must have a well planned work approach to complete all your works related to your grad degree in a prompt and honest manner. So, go on compiling everything you do for completing your Australian degree course and definitely these will be useful later in your career. Being in one of the courses available in Australia for international students is entirely different than your student life while doing your undergraduate course and you have to be more initiative here. There will be none to hold your hands and lead you on your way and everything has to be done by you. So, look around to find the answers for all your questions regarding your Australian grad degree academics, scholarships in Australia for your course, the place to live in, or anything that is connected with your campus life. Your professors and other officials taking care of the international student programs will be happy to help and you need not have to waste your valuable time in trying to find your own answers. It is normal to have lots of work to be done within a short time while in your master courses in Australia and you must know how to prioritize things and complete them strictly as per their importance. You must understand that there is no place for procrastination while doing your masters degree in Australia and you have to be smart enough in not allowing any of the important works slide beyond their allotted deadlines. The best way to be successful while doing your masters in Australia is to devote more time for studying. You must know how to manage your time and have all the handy tools to manage your time and proceed with a well planned to-do list. This will help you to accomplish more within the allotted times and get you more credit in your degree programs in Australian courses for international students. The University of Southern Queensland (USQ) will soon expand its academic structure to accommodate a renewed focus on health and wellbeing. From December 2014, the School of Health and Wellbeing will be established as part of the Health, Engineering and Science (HES)Faculty. USQ’s Academic Division is comprised of two faculties, HES and BELA (Business, Education, Law and Arts), each with specialist Schools grouped to deliver academic programs in specific discipline areas. Vice-Chancellor Professor Jan Thomas said the School of Health and Wellbeing will offer existing health-related programs as well as new program specific choices. “Courses such as our Biomedical Sciences degree will be offered in conjunction with new programs in Sport and Exercise andParamedicine,” she said. “USQ is committed to providing students with the skills and knowledge they need to succeed and to move into careers where they are highly employable. Professor Thomas said it will be the first School to be located at USQ Ipswich next year once the formal transition from the University of Queensland (UQ) is complete. “We look forward to developing higher education opportunities in the region, building bright futures for our community and engaging with all levels of business and industry to ensure we have the right mix of courses that our students need,” she said. As a result of the academic alignment, USQ’s School of Health, Nursing and Midwifery will be renamed the School of Nursing and Midwifery, and the School of Psychology, Counselling and Community will be renamed the School of Psychology and Counselling.